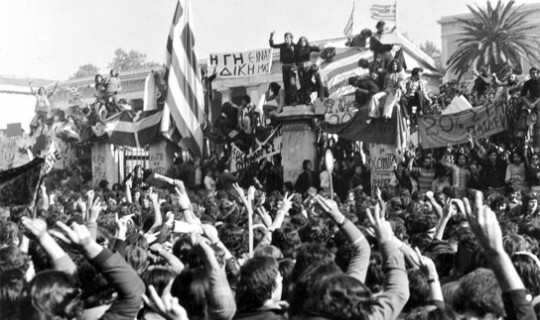 The Greek Community of Melbourne together with the other members of the Polytechnic Commemorative Committee will honour the 44th anniversary of the Athens Polytechnic students heroic uprising against the junta of the colonels, with a special event at the Greek Centre, on Sunday 19 November. The program includes a brief talk, live Greek music with Christo Ioannidis, George Spyrou and Vassilis Michalakis who will sing songs of Nikos Xylouris and the screening of a documentary depicting the events as they happened in 1973. The Committee calls all Greeks to participate and honour the students of the Polytechnic who fought for the fall of the hated junta and fascism. The event will take place at the Greek Centre, at 3.00pm, Delphi Bank Mez, 168 Lonsdale Street, Melbourne. Entry is free.